“The asphalt covered streets and sidewalks during the everyday hustle and bustle are the ideal backdrop to study and record a city and has been an ongoing subject for the camera since the earliest days of photography, whether in books or exhibitions, and worthy of review and reflection. The immediacy of documenting the history and culture of the capitol city of Tehran using this main urban artery from the Main Train Station in the south to Tajrish Square at the foothills of the Alborz Mountains has motivated this group of documentary photographers. What is presented here is a collection of what came out of their studio.Many of Tehran’s commercial centers, places of learning and recreational sites are found along this 17 kilometer stretch of Valiasr Avenue. This subject created a wide variety of points of view to an urban perspective which gave these photographers a chance to refine their individual creativity for over a year. 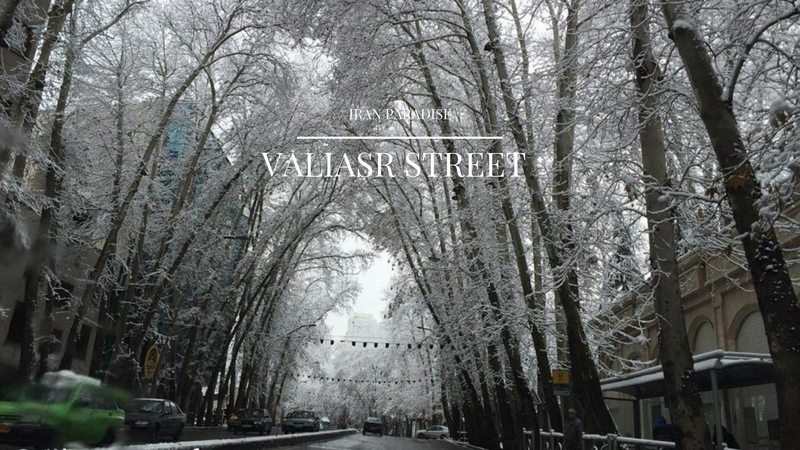 Take a stroll on Valiasr Street, the long, tree-lined road that separates Tehran’s western and eastern zones. Built by Shah Reza, the street spans 19km (12 mi), and represents the city’s main commercial center. 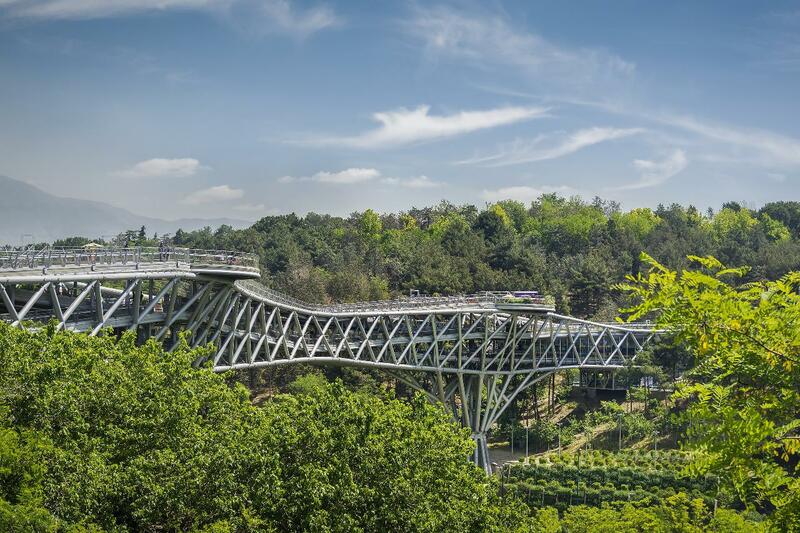 Take in the busy atmosphere of the Iranian metropolis as you traverse the verdant boulevard, passing a number of parks, cafes, and restaurants, or browse its countless local and international stores. 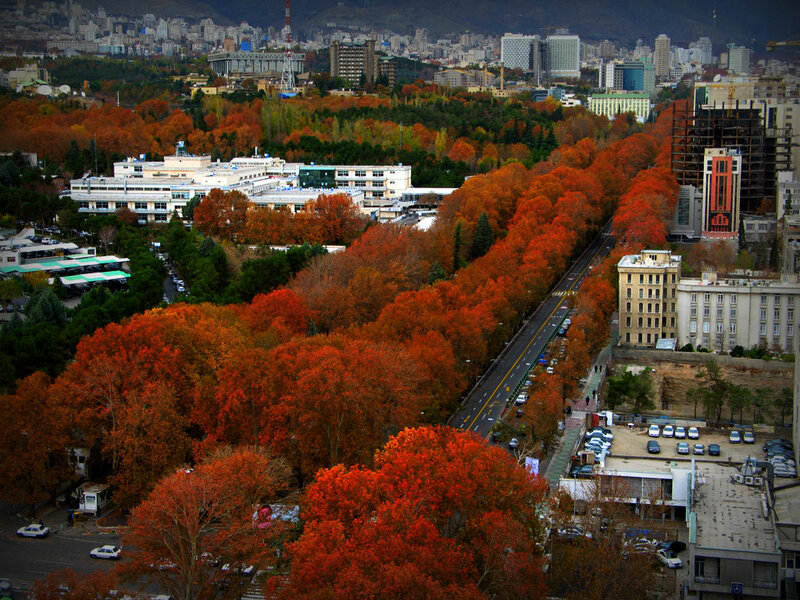 Valiasr Avenue is Tehran’s longest avenue that connects its southernmost point to the furthest northern end. It is considered one of Tehran’s main thoroughfares and commercial centres. It is also considered one of the most historical parts of the city. Along the avenue are located historical houses and sites dating back to different eras. Most of these historical monuments have been registered on the National Heritage List and are functioning as museums. The street was built by Reza Shah Pahlavi’s order and called the Pahlavi Street. After the 1979 Islamic Revolution the street’s name was changed initially to Mossadeq Street (in reference to former nationalist prime minister Mohammad Mossadeq) and later to Valiasr (a reference to the 12th Shi’ite Imam). Valiasr Avenue is the hub of different activities in Tehran and innumerable shops and restaurants as well a large number of parks (like Mellat Park), highways, cultural centers are situated along this long avenue. Valiasr Avenue is the main Shopping street in Tehran and whole Iran. Many Foreign chain stores have branches on this street like Benetton Group (3 stores), Reebok, Adidas and etc… Many important Shopping centers of Tehran are located on the Valiasr Avenue like the Tandis Center (located at northest point of the street at Tajrish Sq. ), the Safavieh Mall, the Eskan Shopping center and many more. Many luxury jewellery and accessories stores like Rolex, Tag Heuer and etc. are located on this street. Furthermore hundreds of other local stores are located at Valiasr.